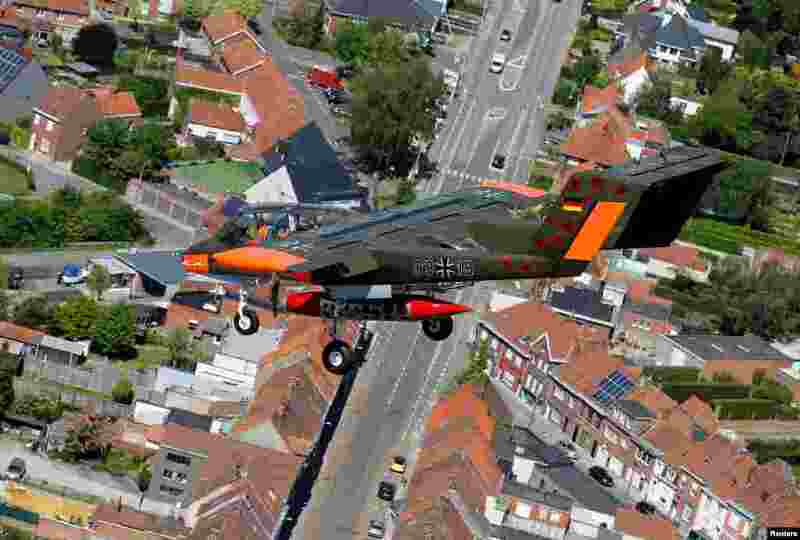 1 An OV-10 Bronco aircraft, decorated with World War I commemoration motifs, flies over Flanders international airport, ahead of the world's first Short Take Off & Landing competition on sand, in Wevelgem, Belgium. 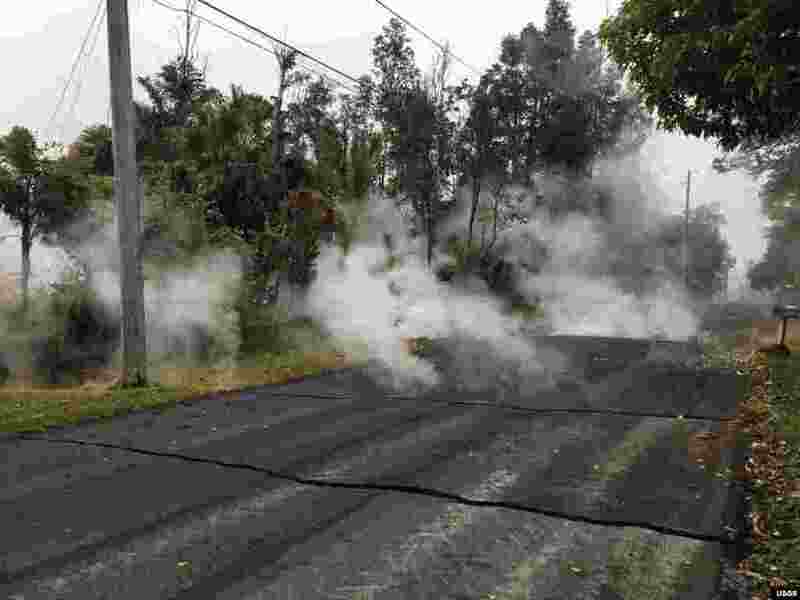 2 Steam rises from fissure 9 on Moku Street in the Leilani Estates Subdivision, Hawaii, May 7, 2018. HVO scientists on the scene reported hearing rumbling noises in the area. 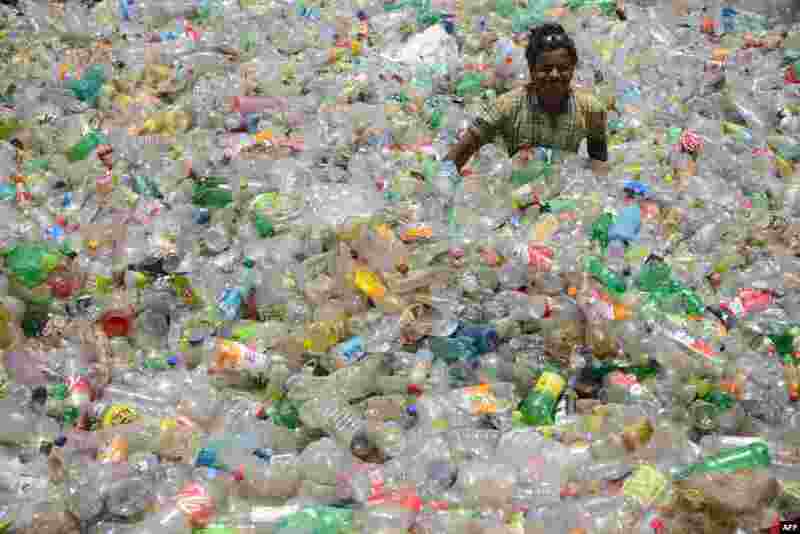 3 A worker sorts out plastic bottles at a warehouse in Jalandhar, India, May 7, 2018. 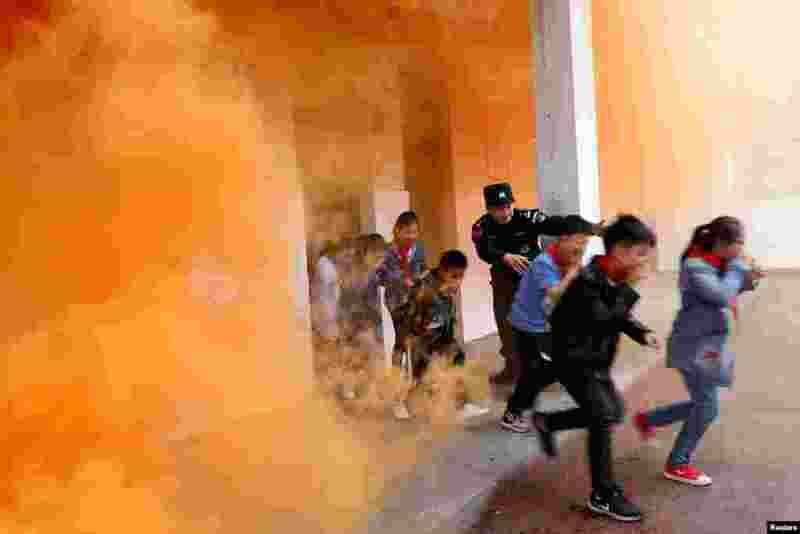 4 A police officer and schoolchildren take part in an anti-terrorism drill at a primary school in Huaibei, Anhui province, China, May 7, 2018.